This is an adapter board to connect an IMST iC880A-SPI LoRaWAN concentrator board to a 40-pin Raspberry Pi (2B / 3B / Zero). 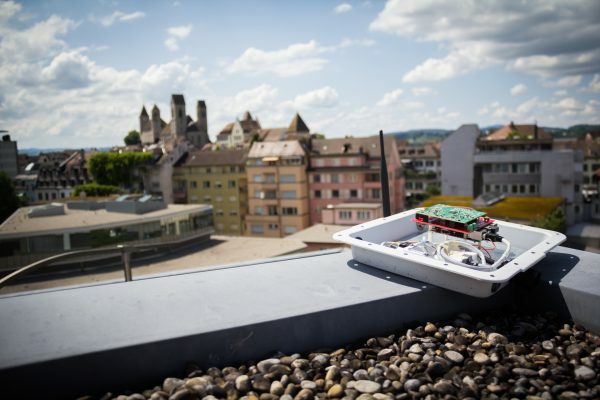 It also gives you some ways to enhance and monitor your gateway. Current version: v2.0 (see news post for details). Raspberry Pi / iC880A not included! Note: This board is sold as a development kit and not a finished product. It is hand-soldered with leaded solder and is not ROHS compliant. 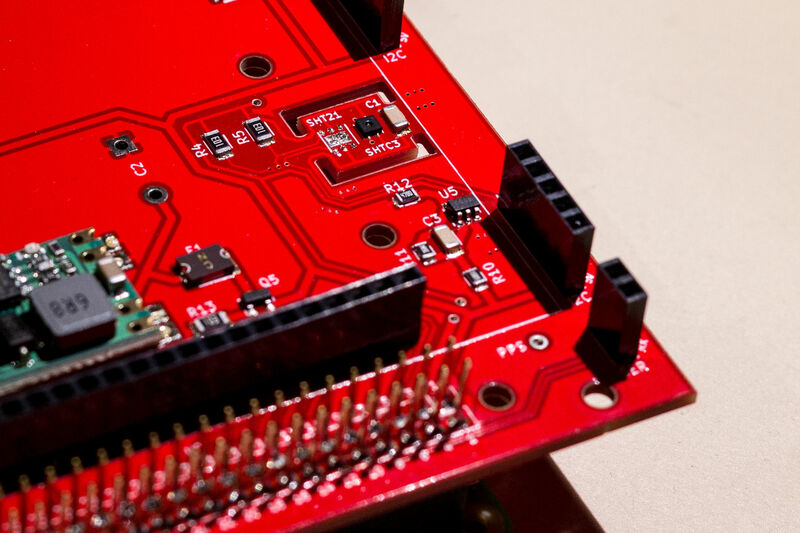 No certifications have been done, but every assembled board is tested by us before shipping, to ensure it works! Screw terminal with on-board MP1584 step-down regulator (6.7-28V input, fixed 5V output). Great to connect a PoE-Adapter. 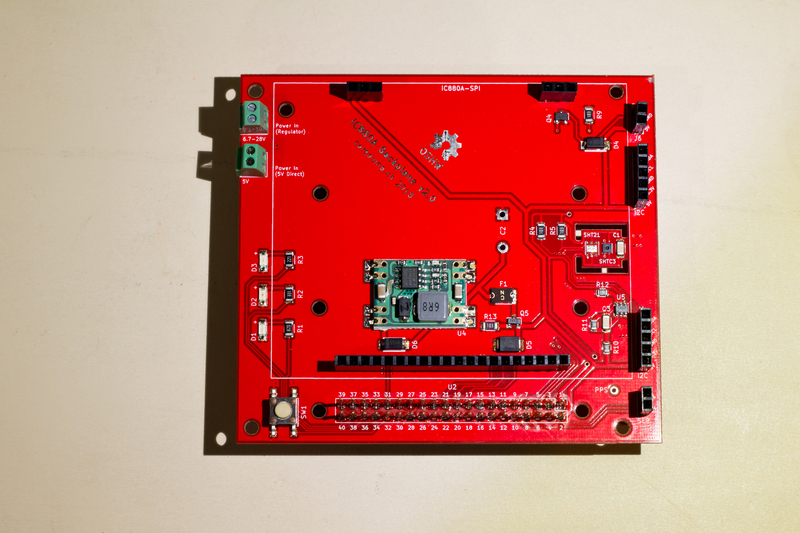 Open source hardware, full schematics provided! Two nylon spacers are included. For the basic version all SMD parts are soldered, through hole parts (pin headers, screw terminals) are not soldered. All boards come with the SMD parts already soldered, but with this option we’ll also solder all the pin headers and screw terminals. Note: In most cases, PCBs with sensors have red soldermask, and PCBs without sensors have blue soldermask. In case we run out of PCBs of the “right” color, we may als use the other color though. You can find the schematics here. Here is a quick guide on how to read the SHTC3 temperature/humidity sensor from the Raspberry Pi. To monitor your gateway, you can find Collectd plugins for the SHTC3 and the MCP3425 here. The LEDs are connected to GPIO pins 36, 38 and 40 (BOARD numbering system). The button is connected to GPIO pin 32 (BOARD numbering system). You can find an example script here. In case you want to use the MCP3425 ADC to monitor the supply voltage: Here is an example script. You can find a Collectd plugin on Github. And here’s a brand new Rust driver. Here is an example shutdown script (and sytemd service file) that allows you to shut down your Pi with the button. We offer both untracked (non-insured) economy shipping and tracked (insured) priority shipping. We ship with Swiss Post only. All shipments are carbon neutral. For information on expected delivery times, see their document on carriage times. Note that sometimes processing at customs can cause additional delays (and possibly costs, depending on your country). 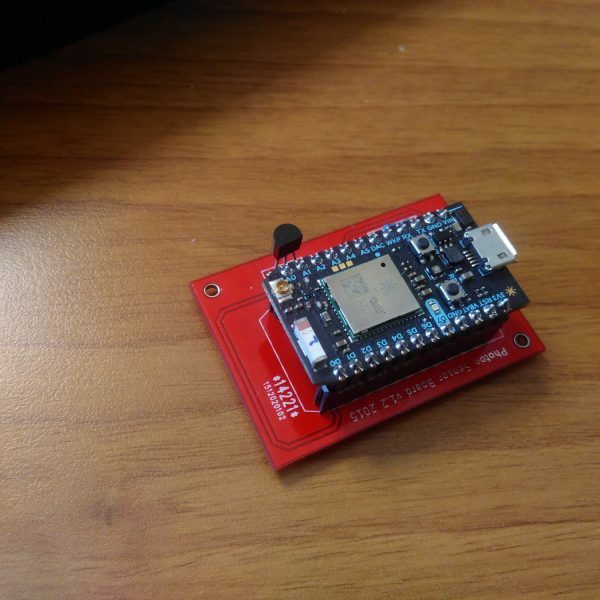 Note: Due to the thickness of an assembled board (>2cm), the shipping costs for fully assembled boards are higher than for the non fully assembled versions. You can calculate the shipping cost in the shopping cart. Feel free to contact us at shop@coredump.ch if you have any questions or any general feedback. We’re also happy about reviews, just click on the “Reviews” tab above! I purchased the fully assembled version of the board and the quality is excellent. I had no problems connecting the ic880a to my Rpi3B. 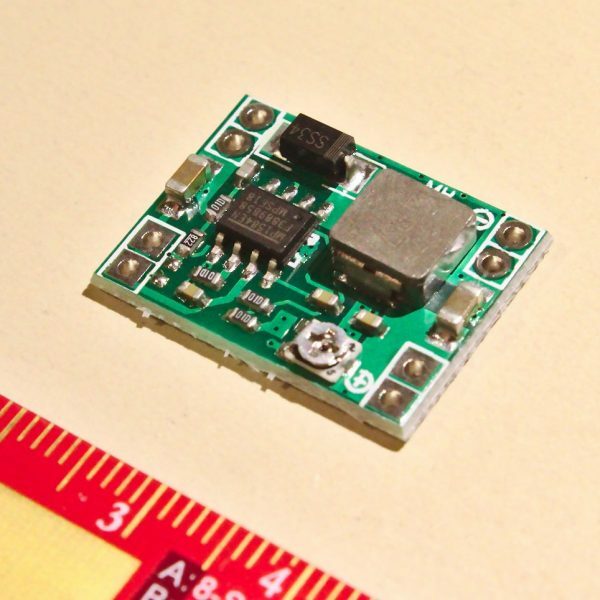 One change I would like to see is that pin 19 of the ic880a be brought out onto the backplane, maybe near the TX and RX pins so that a PPS signal from an external GPS module can easily be connected. 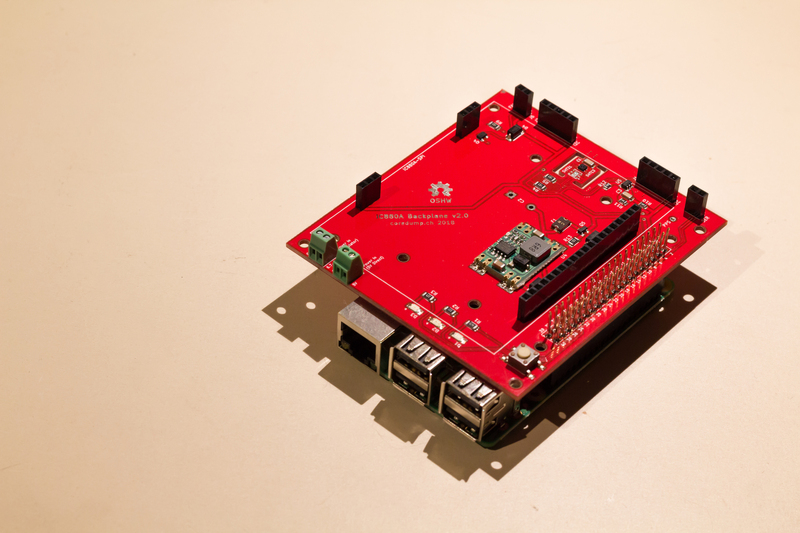 We have a Raspberry Pi based outdoor gateway using this backplane running for almost 2 years now, it works flawlessly! Being able to monitor the temperature and supply voltage is great, especially during hot summer days. I’m not sure if I understand you correctly, but in case the PPS output was a feature request: The backplane already provides an exposed PPS pad! You can find it in the lower right corner next to the serial connector.